One of my hobbies is exploring old mine in the Australian bush so I thought I would post some of my finds on the off chance others share this hobby and want to add some of their finds. 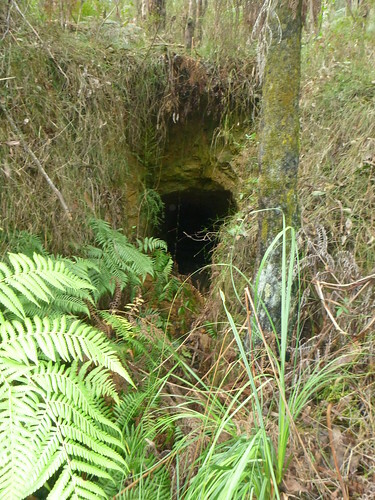 Here is some pics from some mines near Reefton in the Warburton area Victoria. 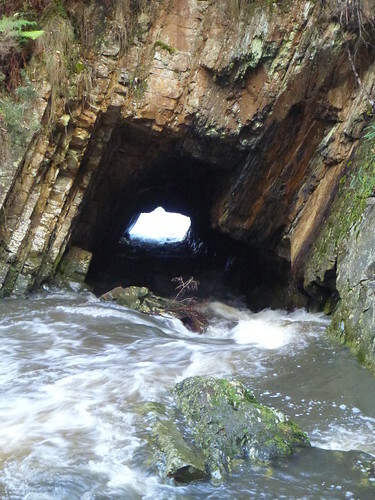 There were 2 tunnels in the 50-100m length along with 2 others that had collapsed entrances. Very cool! That's an incredibly interesting way to explore and get a feel for the areas history. We've yet to work up the courage to check out the old mining shafts where we ride in Southern West Virginia, where there's a few old ones. 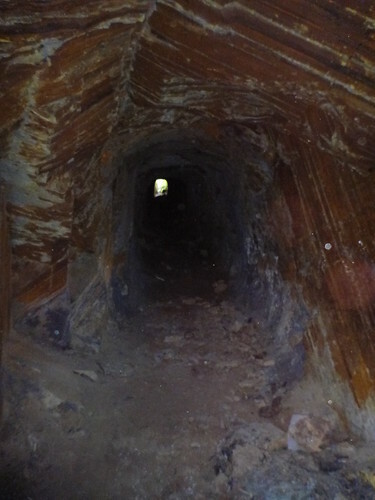 What's the most interesting/odd thing you've seen in an old mine? He explored a bit on one level, then climbed down an old wooden ladder to another level. After just a bit of exploring, he found some old dynamite. He cautiously but quickly got out of there. Just be careful when exploring old mine shafts, i just recently went to Colorado in the Telluride and Ouray area and there are 100's of mine shafts just about all are blocked off because of the dangers of people exploring them, one main reason is bad air, lot of the air shafts are collapsed and no fresh air get to move in them, take couple of breaths before you even know it you are passed out. 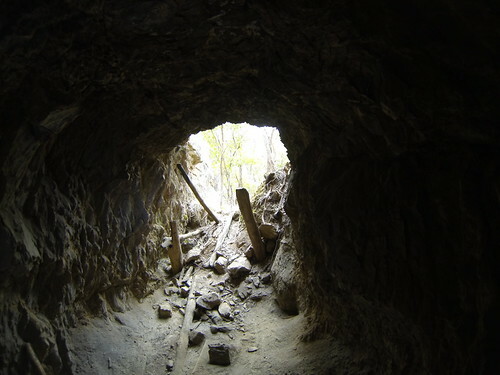 I love to explore old mine shafts but most are still considered private land owned my some company. Every thing you do has some level of risk. I just decide to draw the line somewhat higher than others tend to. This one is very important for anyone in the bush: Think about what you are stepping on when walking anywhere. Small shafts can easily be covered by sticks and vegetation so make sure what you are stepping on is solid before applying weight. I always assess the stability of any mine and if it looks dodgy I stay clear. 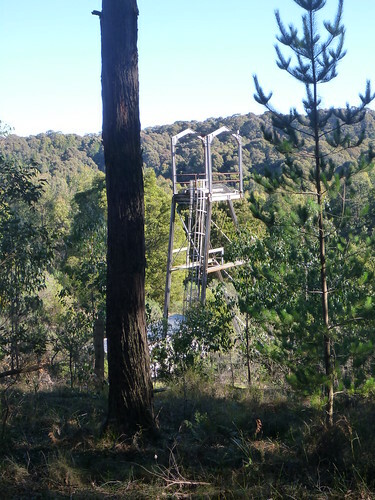 If I need to climb down anything I always use a rope or harness and never climb on anything left/constructed by miners without being securely attached to something. If the air starts to get stale then I don't proceed. 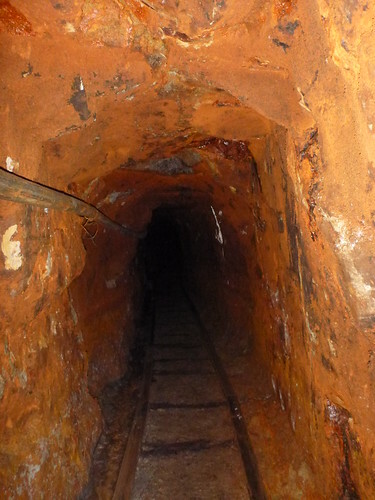 I don't go deep into mines unless I can sense air flow. In saying this it is still quite risky but that is a decision I choose to make. IMO life without risk would be no life at all. 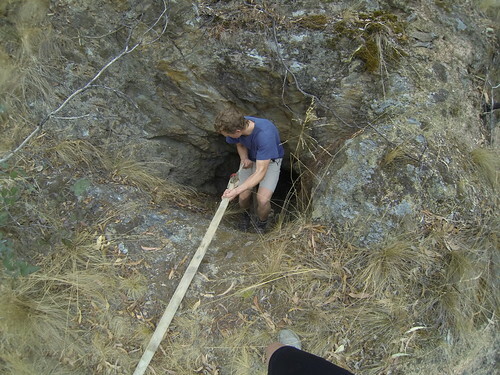 I actually spend far more time walking around the bush finding mines and looking at mining sites than actually in mines. I get real enjoyment out of trying to get my head around how these early miner did what they did as well as checking out all the old mining equipment that is left lying around. You have better luck at this than me, All the mines I've ever found are OLD vertical shaft mines, almost always missing caps that have fallen in. most of the time the grounds around them is so unstable i don't feel safe being closer then 10 meters from the shafts, all but one were easily 10 plush meters deep. With that one exception more than likely being the cap had only managed to fall in a meter or two. Have you got the northings n eastings for some of these? I'm with you on the risk dedman! some of the place's i've been mtbing once home i've thought if i fell there i'd probably be dead right now, I want to do more caving but havent really found many close by. Other than limited risk's you mentioned, If i've had phone reception i usually sms someone my coordinates before doing anything a bit daring, and as part of my choice If i can't do something like that I'll personally choose to leave it alone. Last edited by idw; 3rd September 2013 at 03:45 AM.